Technology is constantly changing around us. In the past few years alone, it has completely transformed the entire world. Two decades ago, people would’ve considered it an insane idea that one day, someone would be able to conduct a LIVE feed from the comfort of their room and people from all over the world would be able to see them. Similarly, the idea that you sit at home and select whatever you want to eat and with a simple touch you’d have it delivered to your home would’ve been an unbelievable once. However, all of this has happened. If you go to the different app stores on different platforms you’ll find multiple apps that provide multiple services. However, you’re more likely to choose an app that sounds interesting and radiates a sense of quality and assurance. Not only is the app name the first impression, it is your entire app wrapped up in a single word or phrase. So, it’s completely logical that you’ll want to have an app that has a name that can effectively assure the users that it is the best option for them. How do you decide which name would be the best for your app? 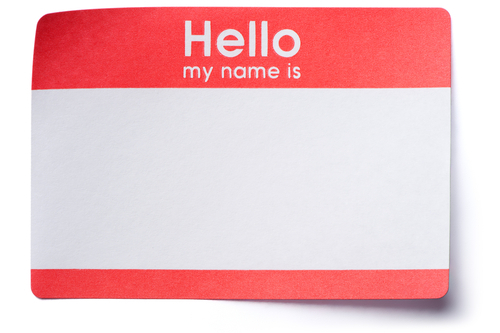 Here is bobile’s guide to choosing the best name for your app. When developing your own app, you need to be absolutely clear what the purpose of the app is and who is the app’s target audience. The name should represent not only your app but also the audience that you expect will be using your product at the end. Think of all the emotions and visuals you want popping in the minds of your customers when they see the name of your app. Think of your app’s name as the lighthouse and your customers as the boats, the brighter your lighthouse shines, the better your chances of hauling more customers in. You’re not the first brand that faced this dilemma. Every successful app once had to contend with the similar enigma that you are facing now. There’s no harm in looking into how they managed to solve their problem. Research is always going to be important in every stage of building and marketing your app. Inspect the top apps in your category, their names, their target audience, and how successful was their name in terms of achieving what it was supposed to achieve. All of this will make your decision much easier and more informed. This is the most important advice when coming up with a name for your app. Other app names might sound appealing, they might sound too good to turn down, but your app loses its entire purpose if you choose to simply clone a different app’s name. Yes, it may get you a few customers but you can forget about building your own customer base if you do that. More than that, you want your app name to be one of its kind. Don’t mimic others, find your app’s identity and let it guide what the name should be.